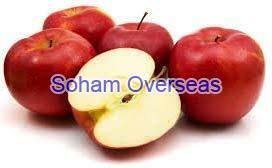 We offer Fresh Apple, which are widely appreciated in the market for their juiciness and sweetness. We offer all varieties of this product that is organically grown in our orchards under close supervision to ensure the quality and taste is maintained. These are then carefully plucked, sorted and packed in various categories to supply to different industries. We offer this product in bulk to Wholesalers, Food Processing Units, and hotels, canteens and restaurants.